A man alleged to have been in charge of a vehicle whilst unfit at a wedding near Cullybackey claimed he was just sleeping in the car because he didn’t wish to disturb the groom. New Zealander Sam Darragh (37), of Aotearoa House near Kilmeague in County Kildare, was at a wedding at Galgorm Resort & Spa last month, a court heard. He appeared at Ballymena Magistrates Court on Thursday to face three counts including being in charge of a vehicle whilst unfit through drink/drugs; being in charge of a vehicle with excess alcohol and failing to co-operate with a preliminary breath test on Saturday September 10 this year. A police officer said he believed he could connect the accused to the charges and Darragh replied “not guilty” to the allegations. Darragh told the court there was confusion as his accommodation was booked in the Adair Arms Hotel in Ballymena and the wedding was at Galgorm Resort & Spa. He said he was sleeping in the vehicle because he did not wish to to wake up the groom. 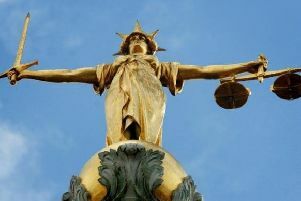 The case was adjourned for a contest on a date to be fixed and the accused was released on £300 bail.